Jackson State University | College of Public Service | College of Public Service Notable Alumni Panel Session, Thursday, November 2nd, 2 p.m.
College of Public Service Notable Alumni Panel Session, Thursday, November 2nd, 2 p.m. The College of Public Service, in conjunction with the Office of Alumni and Constituency Relations, cordially invites you to the Notable Alumni Panel Session on Thursday, November 2, 2017, from 2:00 p.m. to 3:30 p.m. 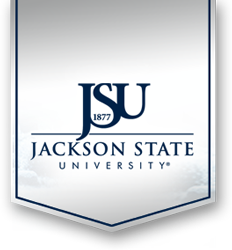 Location of the event is at the Jackson State University Student Center, Theater Room (main campus). Students in all disciplines are encouraged to attend!